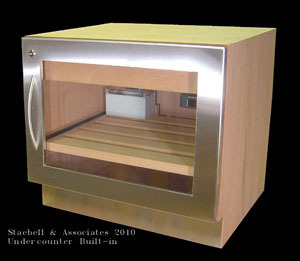 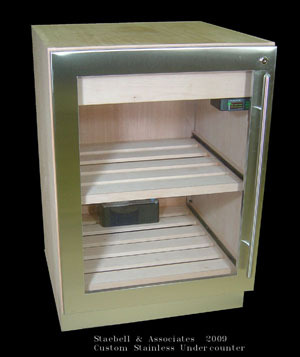 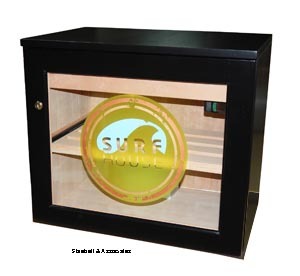 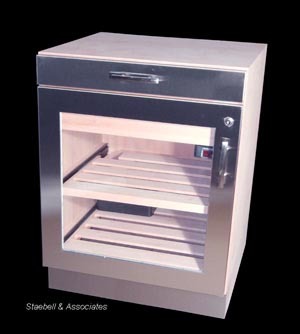 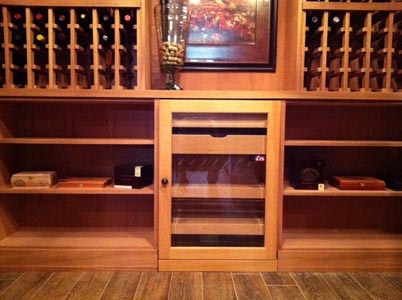 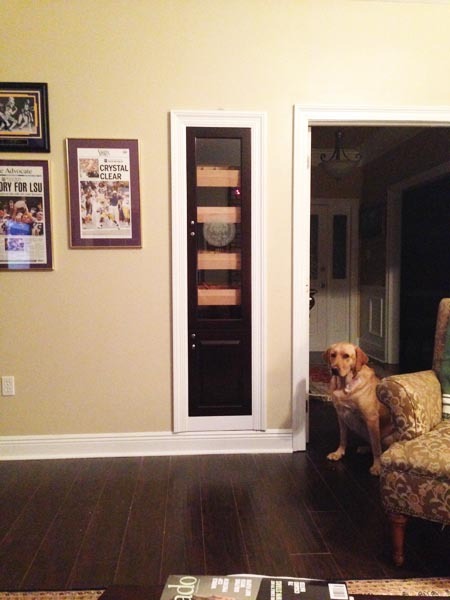 Custom Stainless Door to match wine coolers, etc Digital Set & Forget Humidification system. 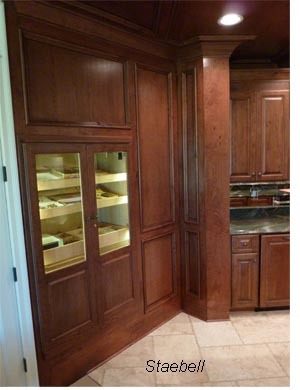 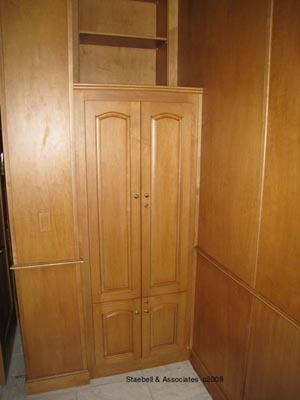 Aristocrat undercounter with matching doors provided by us. 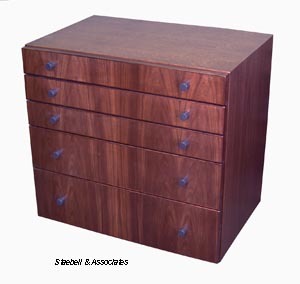 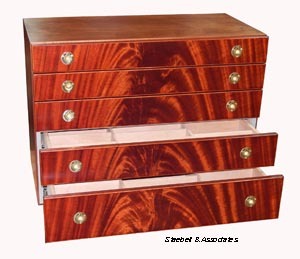 Single pieces of stunning Crotch Mahogany with multiple drawers. 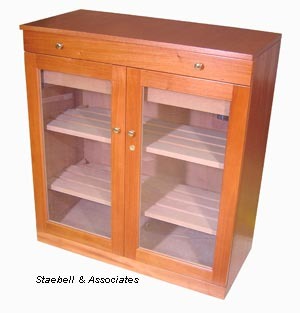 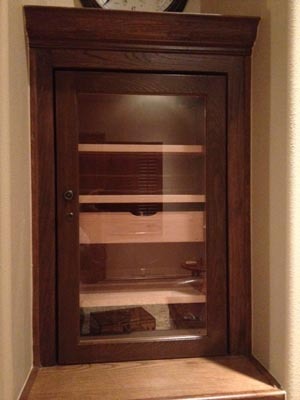 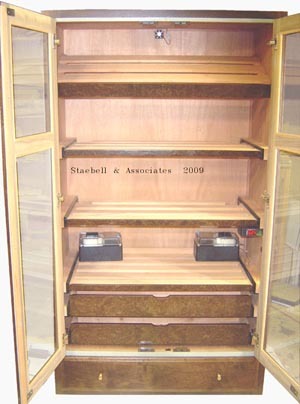 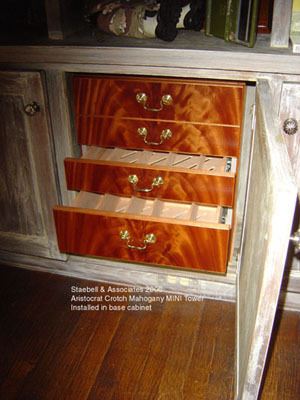 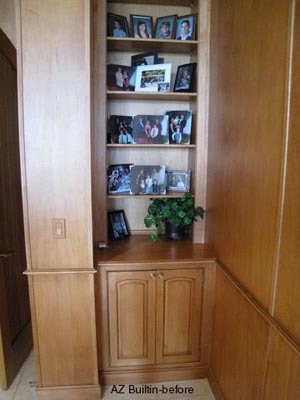 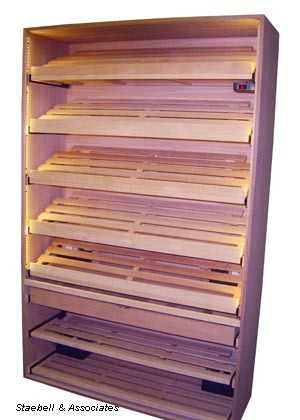 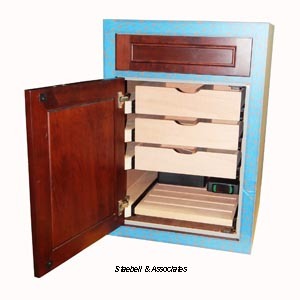 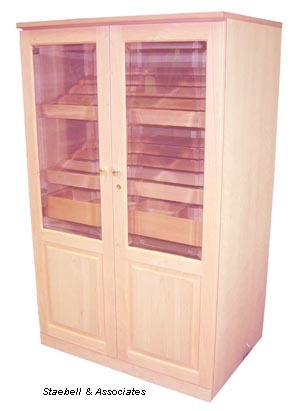 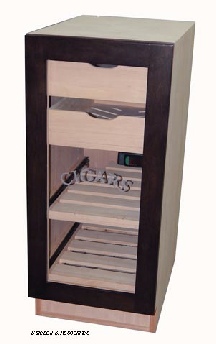 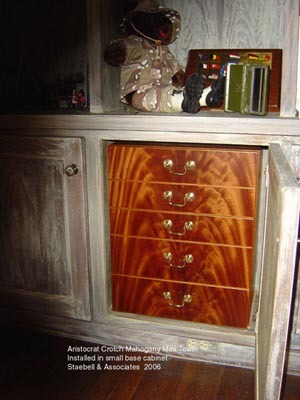 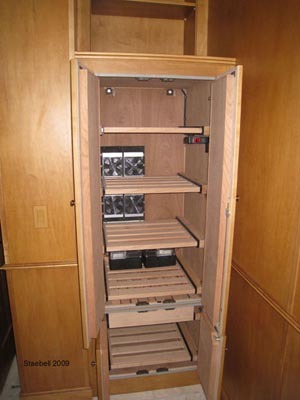 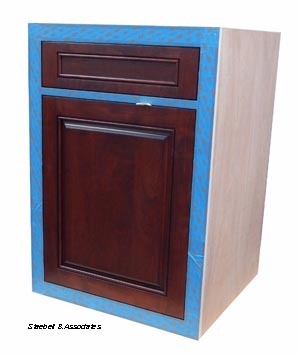 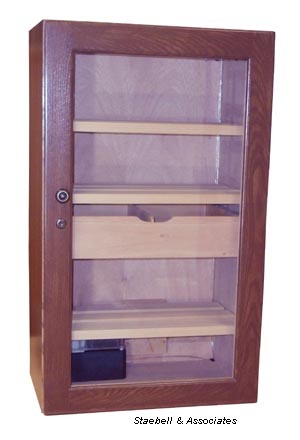 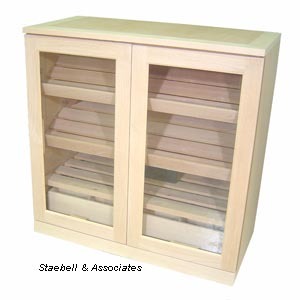 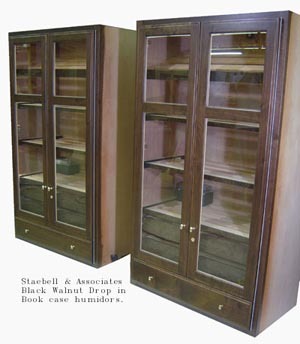 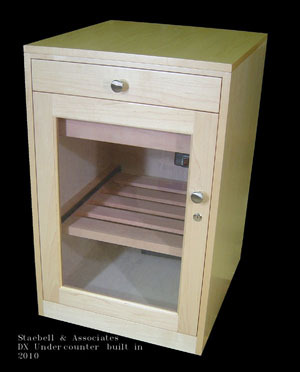 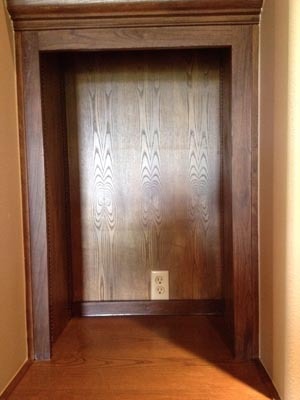 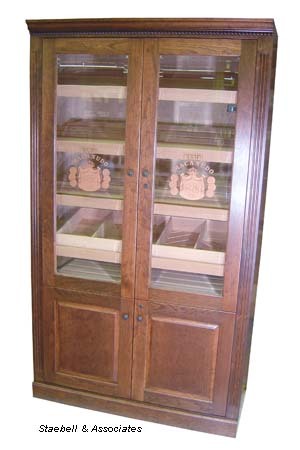 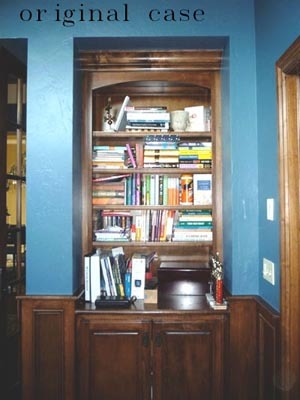 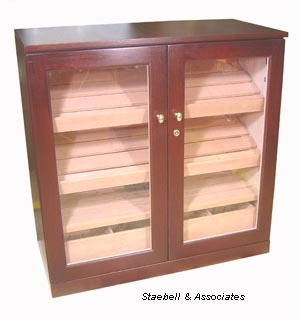 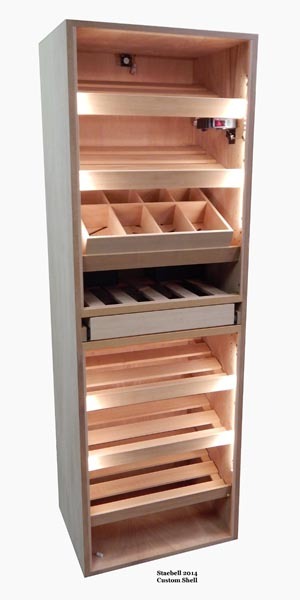 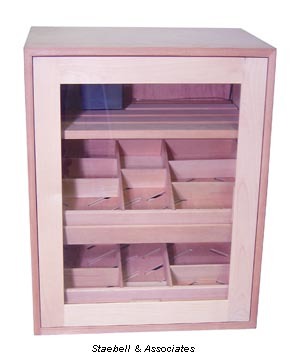 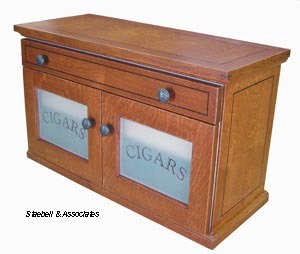 Custom Aristocrat Humidors-Designed to fit into specific niches in a bookcase grouping. 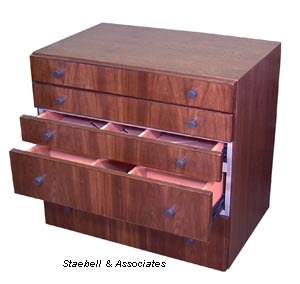 Designed to slip into a specific space. 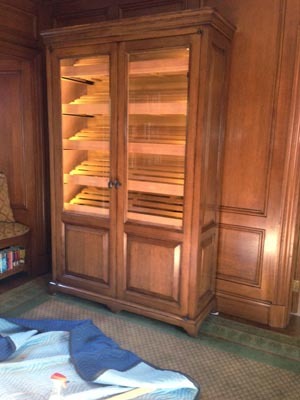 May be trimmed out for built in look. 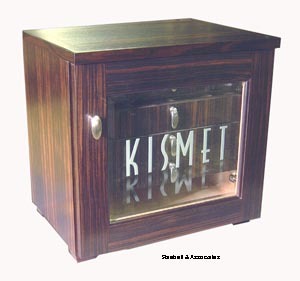 Aristocrat complete humidor shell with electronics.